This is a modified version of Module 10 of the Centre for Mathematical and Statistical Sciences (CMSS). CMSS modules are notes prepared on various topics with many examples from real-life situations and exercises so that the subject matter becomes interesting to students. These modules are used for undergraduate level courses and graduate level training in various topics at CMSS. Aside from Module 8, these modules were developed by Dr. A. M. Mathai, Director of CMSS and Emeritus Professor of Mathematics and Statistics, McGill University, Canada. Module 8 is based on the lecture notes of Professor W. J. Anderson of McGill University, developed for his undergraduate course (Mathematics 447). Professor Dr. Hans J. Haubold has been a research collaborator of Dr. A.M. Mathai’s since 1984, mainly in the areas of astrophysics, special functions and statistical distribution theory. He is also a lifetime member of CMSS and a Professor at CMSS. A large number of papers have been published jointly in these areas since 1984. The following monographs and books have been brought out in conjunction with this joint research: Modern Problems in Nuclear and Neutrino Astrophysics (A.M. Mathai and H.J. Haubold, 1988, Akademie-Verlag, Berlin); Special Functions for Applied Scientists (A.M.Mathai and H.J. 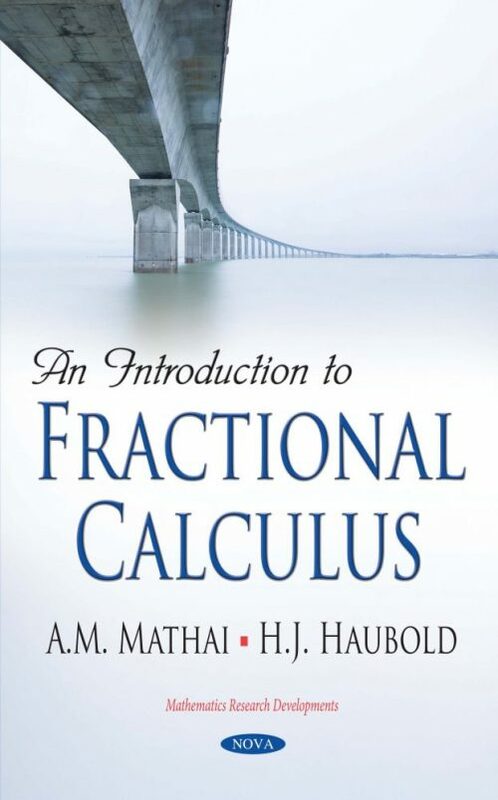 Haubold, 2008, Springer, New York); and The H-Function: Theory and Applications (A.M.Mathai, R.K. Saxena and H.J. Haubold, 2010, Springer, New York). These CMSS modules are printed at CMSS Press and published by CMSS. Copies are made available to students free of charge, and to researchers and others at production cost. For the preparation of the initial drafts of all these modules, financial assistance was made available from the Department of Science and Technology, the Government of India (DST), New Delhi under project number SR/S4/MS:287/05. Hence, the authors would like to express their thanks and gratitude to DST, the Government of India, for its financial assistance. The book is written for Mathematicians and natural scientists, particularly physicists, working and teaching at research institutions, universities, and industry.